Mods that reveal players’ additional equipment. Indicators pointing in the direction of currently spotted enemy tanks outside of actual field of view (ie. not shown on the player screen), with names and distance. This is only legal if there’s only one arrow pointing to the nearest enemy tank. Extended 6th sense sound duration, eg prolonged to 10 seconds. Damage indicator mods: OK as long as these don’t show the enemy reload time. Reload time indicator (approximate with no countdown). Example. Clown skins and skins that show locations of crew and modules. Extending both the sound and icon visibility duration of 6th sense. Thanks to DoM1n for the heads up. This clears a lot. Thanks WG! – Indicators pointing in the direction of currently spotted enemy tanks outside of actual field of view (ie. not shown on the player screen), with names and distance. –Clown skins and skins that show locations of crew and modules. By that same token, aiming “is something players could learn by playing the game hence it’s not considered a cheat”. This is in fact the only good thing with this “policy”: It is a great tool to use against all the people who think that all mods are cheats, or all mods giving any sort of advantage is cheating. I totally agree that some of WGs rulings this far are surprising indeed, but that goes both ways. Some mods I would for sure expect to be banned are legal (mods that people have been banned for in the past btw), while on the other hand, some very good and legitimate improvements to the game has ended up on the bad side of the fence. By YOUR intepretation of the policy, yes maybe. But that’s the good thing about the policy: It’s no longer up the whiners to decide what is cheating and what isn’t. What bothers me here is the way this information was addressed. but it was on the 52 page of the “Fair Policy” forum. Who on earth is going to know that unless he/she stays on that forum and awfully want to know what kind of “cheats” he/she can use without worries of being banned ? ? If WG would really want this to be officially they would post this like previous statement – on all WoT official websites.. ? ? So I think that poor dude had no choice but to say “yes you can, now leave me alone”. And yes, the previous statement was clear. It described not mods, but type of things that if altered by mod would make it illegal. btw. WG statement regarding mods changed like 10 times since “Fair policy” was announced. This was only on SEA server. And it wasn’t on official WoT website. 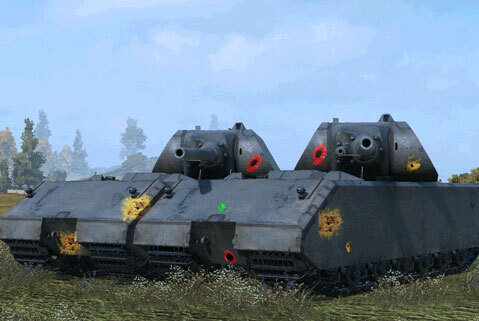 If WG would really want this to be official they would post this like previous statement – on all WoT official websites. And because of that only people who actually look at the forum will know that. This list of legal mod types seems to be a bit…contradictory in places. Well.. previous list was not a list of mods.. it was rather a list of rules that will make a mod illegal when certain things in game will be altered. Dang it!!! Session statistics mod is not in the legal list. I think i might be banned soon. Yeah. It seems to me much easier to produce a illegal mods list than this jumbled mess. Tundra – huge advantage, undeniably. But it’s a shooter and I like seeing clearly what I’m shooting at, all I see now is trees, bushes, trees, more trees, trees everywhere. If it were up to me it’d be a settings option – turn off foliage and leave it up to the user. Enemy indicator direction – all I do these days, besides seeing trees everywhere is rotating the camera non stop like an idiot. The tank has a commander he should sort targets for me. I’m too busy driving, aiming and shooting. What’s next? Press R to reload? I’m pretty sure real life tank commanders could/had to keep track of more than the nearest visible contact? 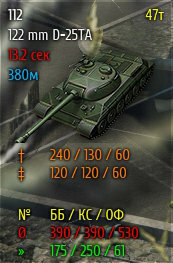 So limited MM tanks like FCM now mean “pay more to get shitfaced by regular enemy premiums because they rolled nice MM”? Gee, Wargaming legalized a sh!tload of toally-fair-not-even-slightly-adventageous mods, like the enemy gun indicator, even though earlier they said that such mods would be illegal. it’s almost like they don’t want to piss off certain clans? This has the potential to turn into a huge crap storm because clearly they haven’t thought this through but they’re already dealing out 7 day bans on a 2 strike policy. I can’t see how this could go wrong if they ban like 10k users or something like that.